"Time to bring the Law!" PCSX2 is the leading PS2 emulator, able to run commercial games on today's computers. The version used for this guide is the recent 9.7 beta build, which has many things added changed to make it much more versatile and compatible with mid-range Dual Core systems and higher. Once all this is done, start the emulator to continue and follow the guide. Now that we have our emulator setup, it's time to start configuring it. The settings this guide will show you how to play most games while keeping the emulator stable and without crashes or game glitches. If you think you have a mid range video card, leave it as it is. 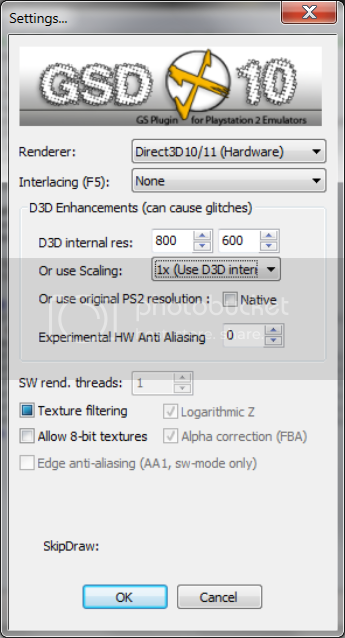 If you have a video card similar or on par with an ATI 48xx model, you can change the D3D internal res to something higher to get "HD" graphics. 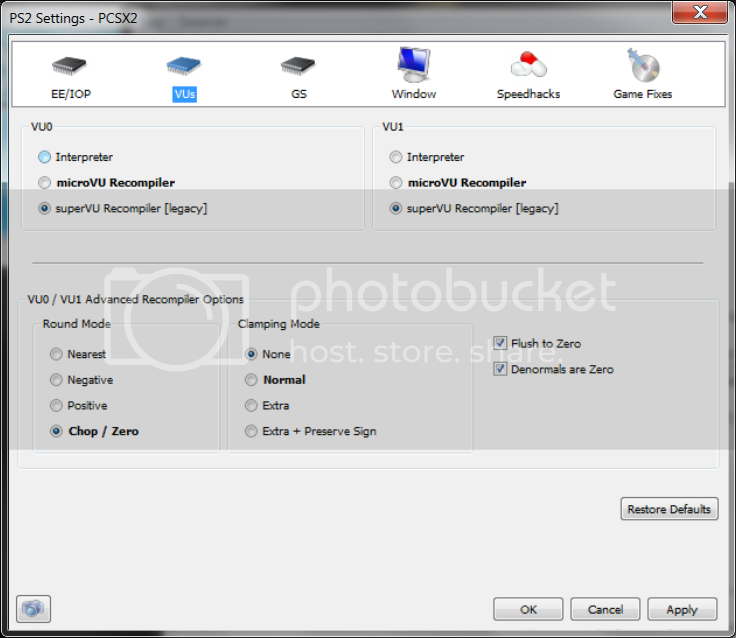 If you are using an operating system before Vista/7, click the Renderer box and change it to DirectX 9. If you want to change control settings, click the Configure button and change the controls as you wish. Once these steps are done, press OK to exit the first-time guide and enter the emulator. Set it up exactly does in the screenshot. As you can see, the recommended options are in bold, this means that if a game crashes or glitches, these options could be the culprit, remember this. I say can because there is nothing really to configure, but the PAL frame rate can be change to 60 (as it is in the screenshot) to gain the same speed in games as NTSC ones. If you are okay with the normal speed of PAL games, ignore this and carry on to the next screen. This screen is the most important, as this is where things can be cut back to gain speed in games, but could also break them. The settings in this screenshot are very stable and will not cause problems for most games, so change them to match the screenshot. If a game you are trying to run has loading or graphical problems, check back here and try messing around with the different options to see if anything changes. Apart from the bottom one, you do not need to change anything unless the game you are playing is one of the ones listed on a particular fix. Your emulator is now ready! Loading an ISO is easy: all you have to do is go to the CDVD option and click "Iso", the click ISO Selector and then browse for your ISO. 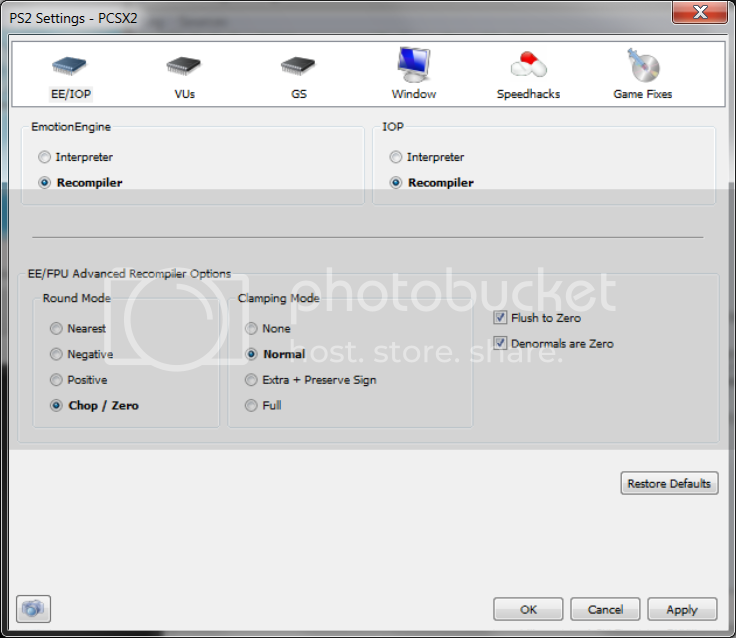 Any previously loaded ISOs will be selectable in the ISO Selector menu. 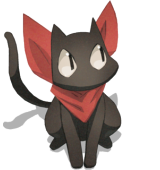 If you come across games that are running great or full speed, please add to the the PCSX2 wiki, this will help others find out what games work and with what builds. So please take a few seconds to add games if they are working. And that's it, good luck and happy gaming! This text is way too personal. Any favourite PS2 games you'd like to recommend? Those are what I am playing (and enjoying) at the moment. I have already completed Kingdom Hearts II, X and X-2 but not in HD. That's a really nice tutorial, nice use of graphics and clear language the whole way through. Only thing I'd recommend changing is this line: "If you are using an operating system under Vista or 7, click the Renderer box and change it to DirectX 9." I'd change that under to before, and probably remove the 7. As I read that it implied if you are using Vista or 7 switch to DX9. Even then, I'd probably change it again to say if you are using an OS not compatible with DX10 change it to DX9. As I am on 32-bit Vista. @cookiekuns - Gran Turismo 3 is a good game, lasts quite a while too. I'm much too lazy to put an actual signature here. I wonder if this would even work on my laptop, I tried a previous version and it shat itself whenever trying to put out more than 1 model. You zetta sons of digits. I have made the change to the guide, but I have put "Vista/7" instead of removing it altogether. A lot of videos cards are compatible with DirectX10, right down to cards from 2007. I guess I can add to the guide that if it doesn't work with DX10, you could switch to DX9. Also DX10 actually renders faster than 9 on PCSX2, so it would actually be better to try DX10 before switching to 9 nine for both architectures. If you at least got 30FPS on some games, try the guide to see if you get a big enough improvement for games to be playable. I will also be making a new Dolphin guide soon due to the emulator now using OpenCL. Page created in 0.567 seconds with 25 queries.